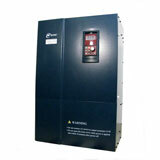 Adjustable speed drive (ASD) also knows as adjustable frequency drive (AFD) is the best solution for induction ac motor in energy saving application, we are the manufacturer & supplier in China who are very professional in variable speed (frequency) drives producing for more than 10 years with reliable quality control system. We developed a new generation adjustable motor speed drive (ASD) called 6000 series and now are mass-produce in our factory production lines to cater customers all of the world. 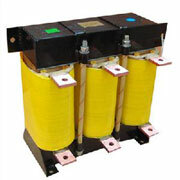 In single phase (1 AC) motor speed drives, 0.4kW to 2.2kW are available and 0.75kW to 630kW in three phase (3 AC). This new adjustable frequency drive (AFD) inherit all of the advantages from the old ones and integrated many new features of its own, running more stable, more silent, the entire performance of this version drives are going better and better. 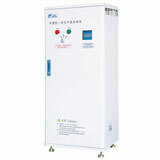 Our adjustable motor speed drive (ASD) can continuous running even if the electric power off in a certain time which can be set manually, this new & advanced feature allows the machine work automatically in the unstable electric power area, even more, it can track the ac motor's speed in real time and start at the assigned speed when the power on, this makes the ac motor work more smoothly with less maintenance. 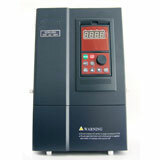 Also, these kinds of adjustable frequency drive (AFD) inherited the most popular technical features, like PID control, vector control, RS 485 communication and much more. 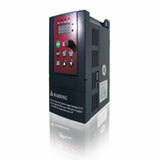 • Online modify and check parameters for the adjustable ac motor speed drives.